A light touch - tip for new ukulele players! Something this week that I regularly see on ukulele discussion boards - new players complaining of cramping fingers, aches and pains when learning the ukulele. It's an extremely common problem for beginners, and to some extent it is something you do 'need to go through'. However, it did get me thinking that it was worth providing readers with some tips on the subject as in a lot of cases some of the aches and pains are exacerbated by beginner ukulele technique. Before we get into that, I am not talking about sore fingertips, blisters and callouses here. That is something that is also perfectly natural - the result of soft fingertips being abused by those hard strings. I have talked about that issue on Got A Ukulele before and provided some tips (you can read that by Clicking Here ). No, I am talking more about the aches and pains in joints and muscles, and the fatigue that many beginners experience. As a starter I would ask you to exercise some extreme caution when you develop such pains. Pain is the body's way of telling you there is something wrong and you should always listen to the warning signs. 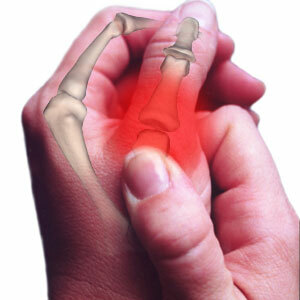 Playing on endlessly through pain can lead to some serious damage with things like RSI and Carpal Tunnel issues. As someone who suffered with the latter for about six months straight I can assure you that is not something you want to invite on yourself! It scares me to death when I see people online telling beginners to just 'play through the pain'. Seriously - unless that person is medically qualified, please don't take their word as gospel. Saying that, a lot of aches and pains can be down to poor beginner technique too, and in many cases from simply squeezing on those strings too hard. In this guide I am working on the basis that you are experiencing very temporary and immediate pain when you play, that then goes away when you stop. If you find that you are still sore for some time after playing, please PLEASE speak to a specialist! Back to that temporary pain though. The first thing to bear in mind if you are a beginner is that fretting a ukulele is putting your hand into positions that it is simply not used to in day to day life. That means that joints and muscles are working in ways that they don't normally and when that happens they scream out 'what's going on!!'. That's very normal, and as you progress you will find your hand 'learns' from the experience and the aches go away. But you can lengthen how long you feel that pain with poor technique, most commonly associated with simply squeezing the neck too hard. When you fret a ukulele string, all you actually need to do is hold the string down until it touches the fret immediately down the neck from the fret space. That is enough to get the ringing string to change up in pitch cleanly. What you don't need to do is squeeze the string right into the fingerboard with all your life. Doing that is certainly going to cause fatigue in the hands (and really add to your woes on the callous front). It is easy for me, as someone who has been playing for years, to say that, but looking back I did it too when I started out - that just happened to be on guitar, but it's the same principle. I look at my technique now though and I hold the neck very lightly indeed and hardly press down on the strings with much pressure at all. As I say, you only need just enough to get the string to engage with the fret. Nothing more. If you are a beginner, take a look at your playing style on the fretting hand and give it a try. Fret a string as you normally would and pick it. Back off the pressure a little and pick it. You will know you have backed off too much as the string will either buzz or sound dead because there is no string touching the fret. If that happens, just apply the pressure a little more. Learn to understand the minimum amount of pressure you need and try to ensure that when you play that is all that you apply. And be sure to try that with all of your fretting fingers. That sounds too obvious to be real advice, but you would be surprised at the amount of pressure some beginners think they need to apply! You don't need to strangle the ukulele! Granted, it will be hard to learn when you start out - the natural style of a brand new player is to squeeze the thing for dear life, but if you can start to learn to ease off a little you will certainly find it helps you. The same goes for the amount of pressure you are applying with your thumb to the back of the neck. Whilst thumb pressure wont affect the strings, again it really doesn't need to be too hard. Again, when I look at my technique, the neck of the ukulele is only very lightly held in the crook of my thumb and forefinger. And there are added bonuses to all this too. As you start to develop a lighter touch on the neck you will also find that chord changes are far quicker and that you can perform 'faster' on the neck of the ukulele, and that has to be a bonus. Want to play like Jake? His technique is perfected to be 'just enough' to make the ukulele sing! That's why he is so fast and makes it look effortless. And another thing I see a lot with beginners is them feeling that their ukulele is playing out of tune. Squeezing too hard can do that too as you tend to stretch or pull the strings slightly. That lengthens their vibrating length and the result is that that you make them play a touch sharp. Another good reason for a light touch! So, trust me, it WILL get easier, but do try to take a look at how hard you are fretting and ease it off. And of course - finger stretching exercises are always a good thing to consider and you can get some tips on that by Clicking Here. Stick with it, and keep strumming! Thank you for this straightforward and encouraging post, and happy New year! I have just bought a Tenor Uke and haven't played before. I wasn't sure what size to go for but wanted one that sounded rich. But I'm worried it's still a little big for me. I struggle with a guitar except with the simplest of chords as I'm really quite little and have small hands. hence trying the Ukulele. But my fingers are just not long enough to stretch across the neck when you need to say cover 3 strings with one finger, my finger just won't cover the strings. Should I have gone for a concert size?